The most photographed bridge in the world is the Golden Gate Bridge in San Francisco USA. It was built in the 1930s to connect the San Francisco peninsula to the south end of Marin County. 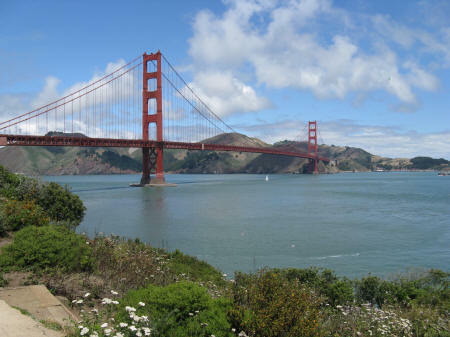 Visitors can enjoy a lovely walk along San Francisco Bay and enjoy fabulous views of the famous bridge. Many tourists like to cross the bridge by foot or bicycle and then return to San Francisco by ferry boat from Sausalito.